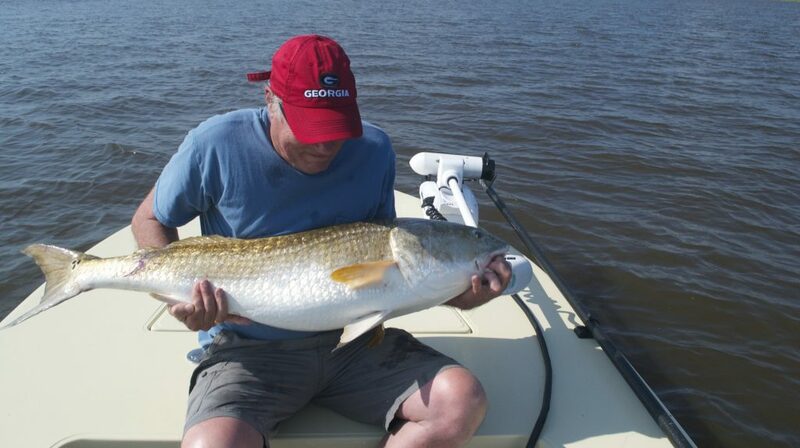 Summer is here and that means Redfishing around Pawleys Island is heating up! We have had heat indexes above the 100 degree mark for consecutive days. During the dog days of Summer we run our guided trips early in the morning when water temperatures are lower. This helps beat the heat and gives the best opportunity when fish are most aggressive. I have been guiding clients from Pawleys Island south to McCellanville South Carolina. 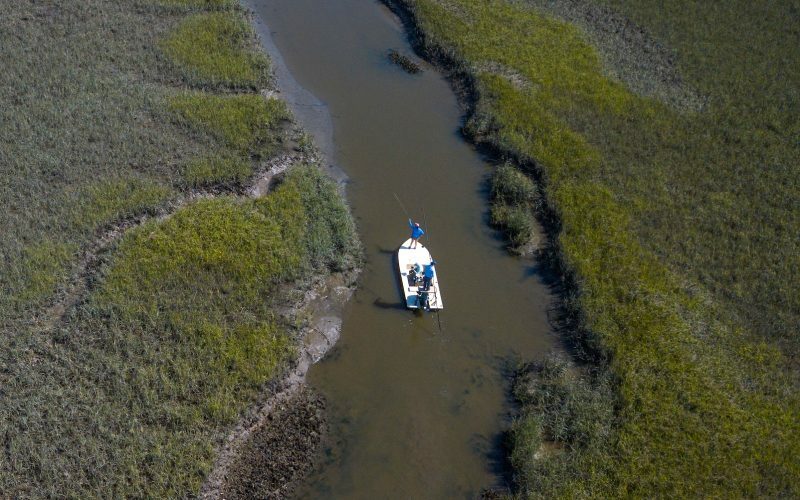 These remote stretches of coast between Pawleys Island and Charleston are some of the most pristine waterways offering anglers opportunities to fish for a verity of saltwater game fish. 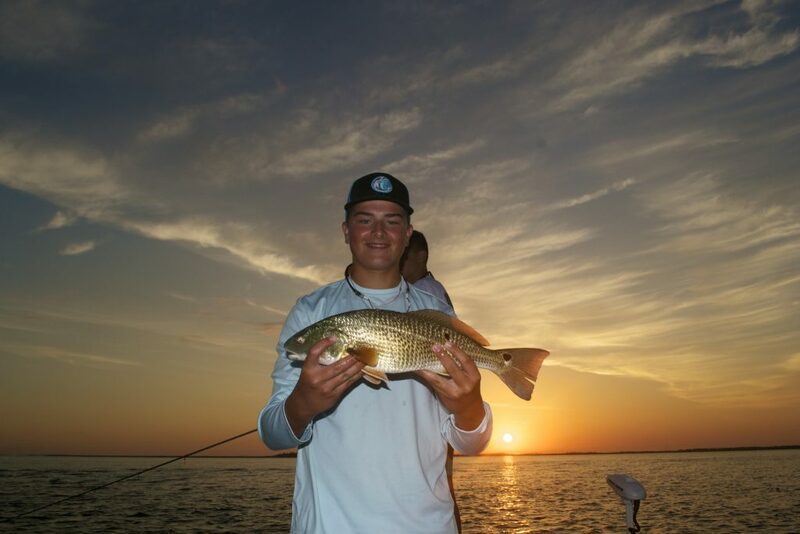 When fishing the mud flats, bays, inlet and tidal marsh our primary targets are Redfish, Speckled Trout, Black Drum, Flounder, Triple Tail and Sharks. 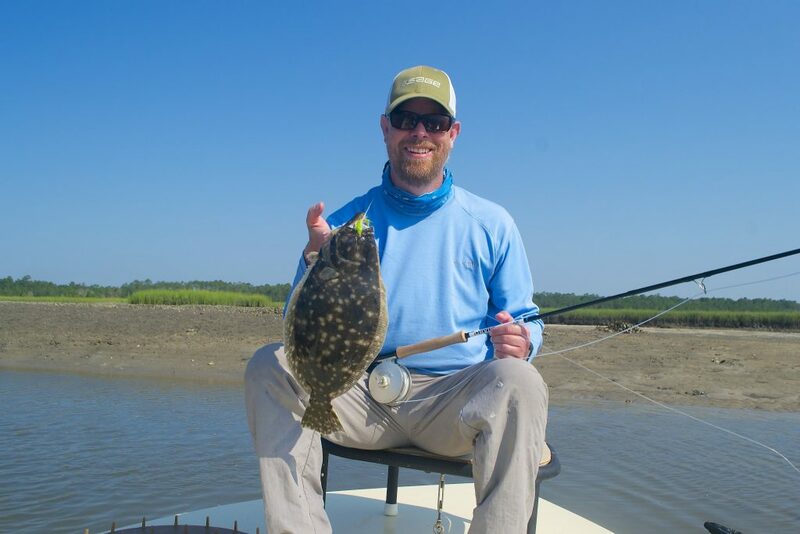 Early morning low tides can be great for sight fishing as we can see fish head waking and tailing around sand bars. We are only a few tides away from our next Tailing Tides cycle and I can’t wait! 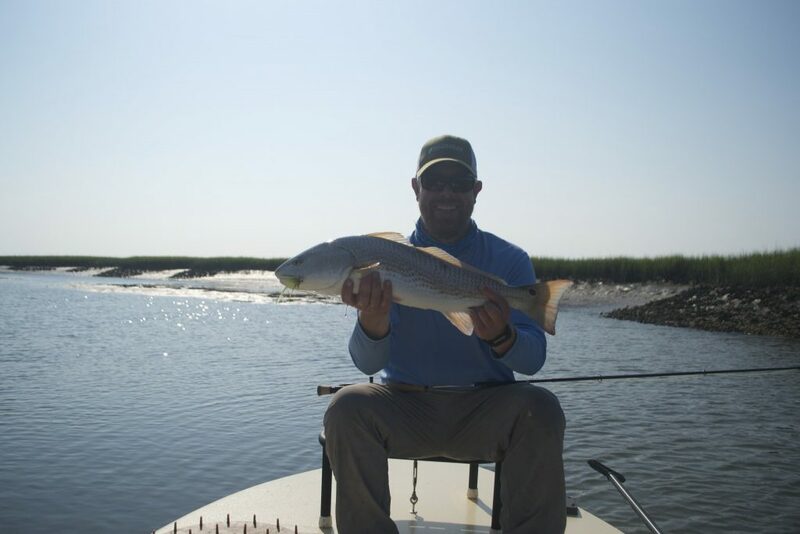 Tailing tides, or flood tides, are my favorite way to target Pawleys Island Redfish. We experience higher than normal tides that flood our grass flats. Incoming tides flood the flats and Redfish move up onto these feeding grounds looking for fiddler crabs. 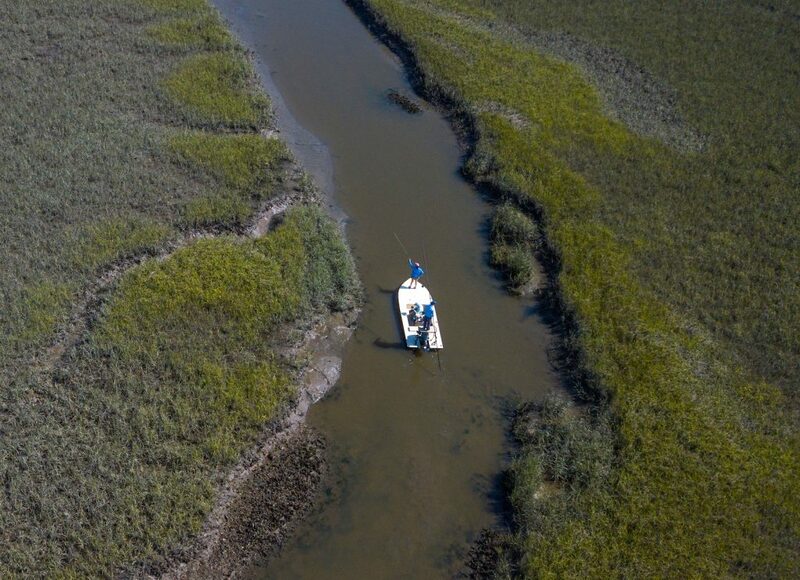 We target them by either wading or poling the boat quietly along, looking for the fish’s tail as they root for crabs. 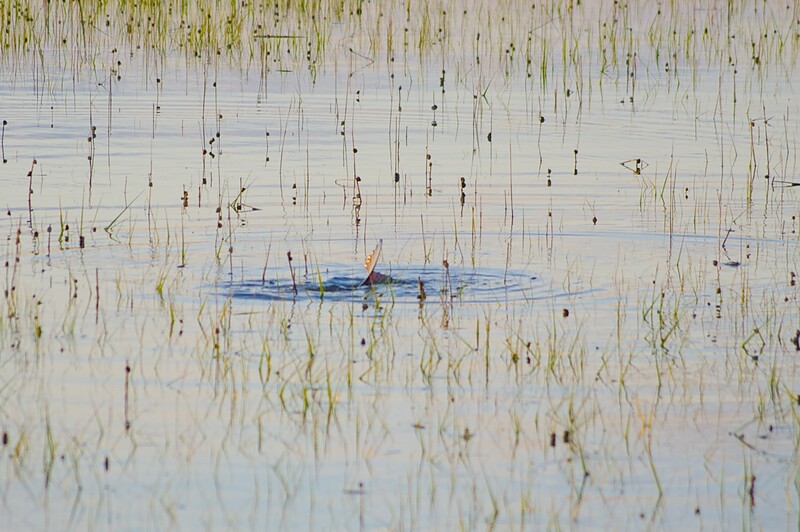 Once we locate a fish, we make a stalk, or get into position for a shot at the fish, trying to place the lure or fly in the fish’s path without spooking him. 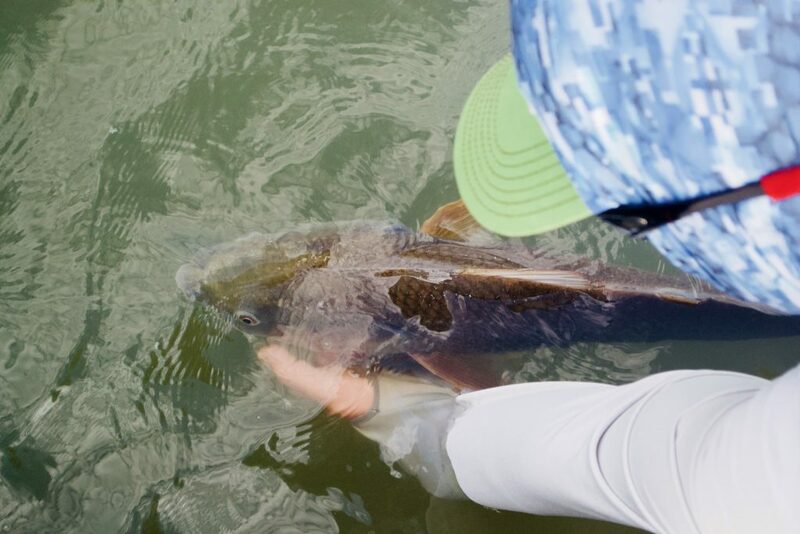 The shallow water flats is where we see the explosive bites from large Redfish. 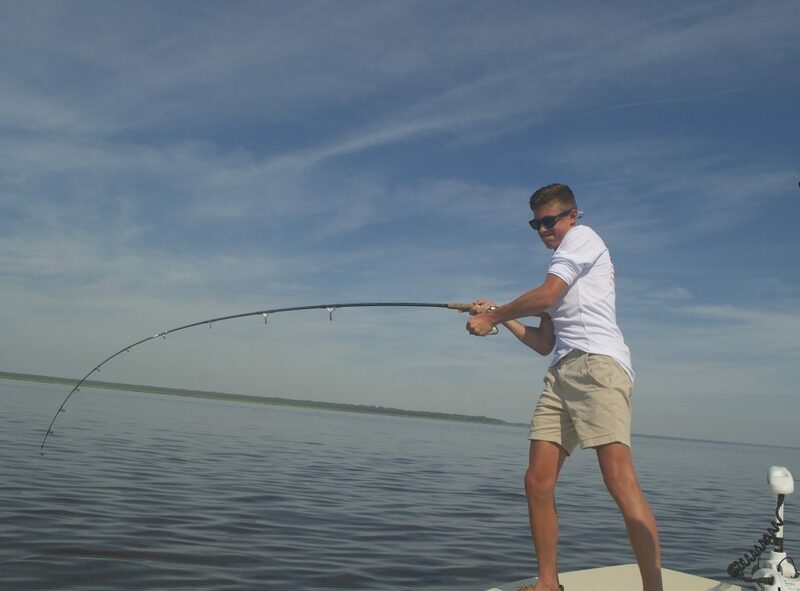 This style of fishing is exhilarating and frankly, I just can’t get enough of it! I hope everyone is enjoying their Summer and all that our beautiful coast has to offer! 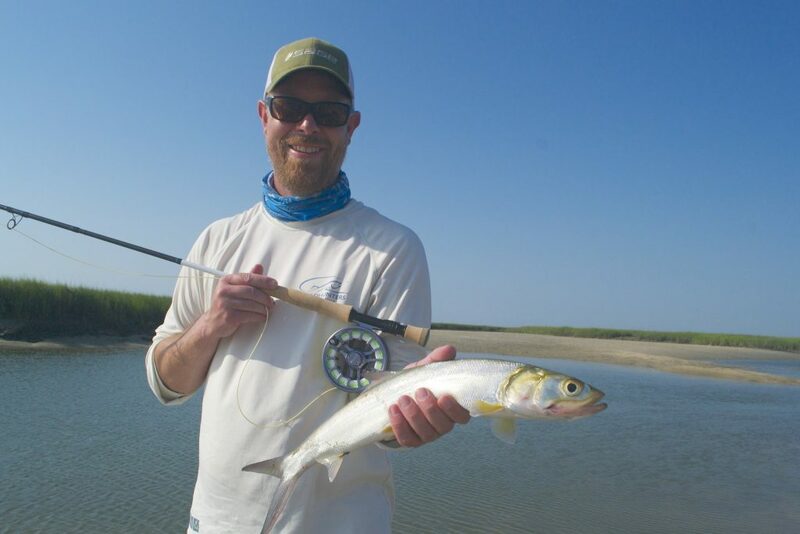 Keep checking the Captain Blog for the latest Pawleys Island Fishing Reports. Thanks so much for the experience! Honestly the best guide I have ever had. Thank you Chris! Hope to See you next year.